Showcase your personality with the fun new “it” accessory: bag charms. 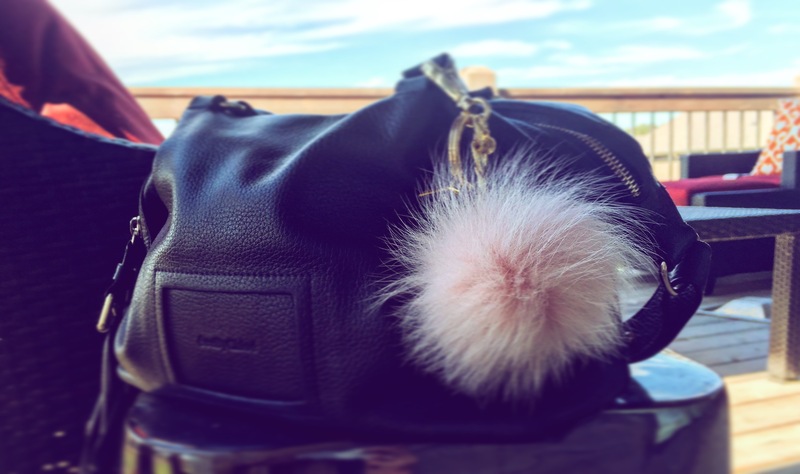 From mini Karl Lagerfelds carried by celebs like Kendall Jenner to Sophie Hulme’s star glasses pom pom and lipstick tubes, bag charms are popping up everywhere. What I love about them? I don’t like to take myself too seriously. While small, these fun accessories allow for self-expression and add just enough – well, charm – to any outfit. Karlito is adorable! But, not many people I know (self included) have $1,150 lying around to buy a new handbag… let alone attach an “it” accessory to an “it” accessory. So, I say let’s all have some fun and rock this fall trend but splurge on the bag and save big on the charm. Or consider buying a charm and rock the same bag for another season. This little pom was just what I needed to bring some new life to last year’s bag. Bag Charm: Michael Kors More fun options here.